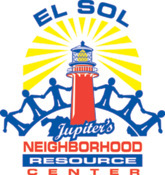 El Sol is a neighborhood Resource Center in Jupiter, FL working to improve the quality of life of all residents in the town of Jupiter by providing services to those in need, especially day laborers and their families. These services include a labor center that matches day laborers with employers and ensures fair compensation and treatment, a community garden providing families an opportunity to raise and share produce for themselves and others, community kitchen providing meals, and an extensive educational program. At Gardens we are excited to support El Sol through financial contributions, volunteer hours, and prayer as we work to welcome the immigrant and refugee in our midst and work for a more just and gracious world.